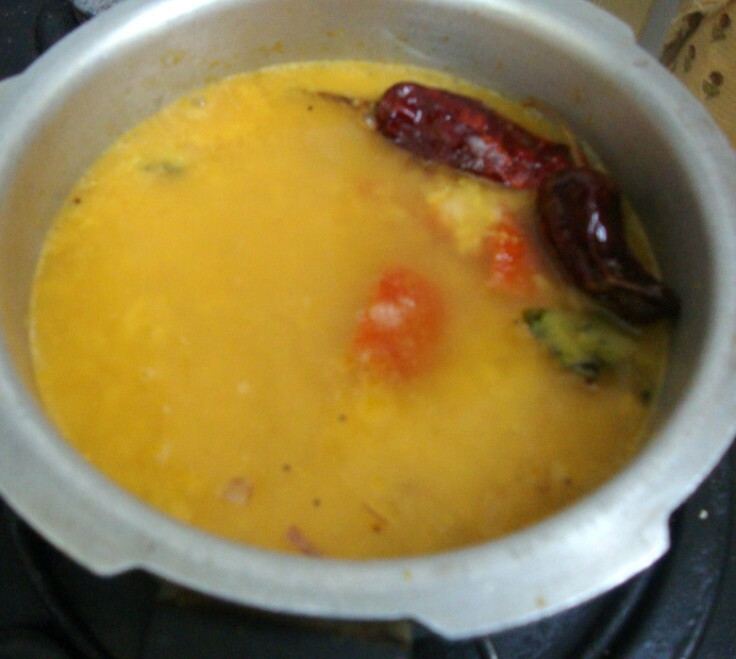 Moong Dal Sambar or Pasi Paruppu Sambar is something that I remember Amma always making during our childhood. Somehow this mild concoction of sambar used to feature a lot on our table some years back. Maybe after my marriage or few years later, I see that we have almost stopped making this variety for Idly or any of the breakfast dishes, as it’s mostly less spicy. But the goodness of Moong dal and the fact that it’s not so spicy makes it a great dish for kids. I must confess I have not made this combination in years. So when I finally remembered to make this, it was mostly to avoid the confusion I have on what to make for the afternoon tiffin that hubby dear now takes instead of meals. So I was glad that this sambar ended up being a great dish for kids also. Plus the fact that making this sambar is like 10 – 15 minutes makes it a super duper dish for those rush hours. 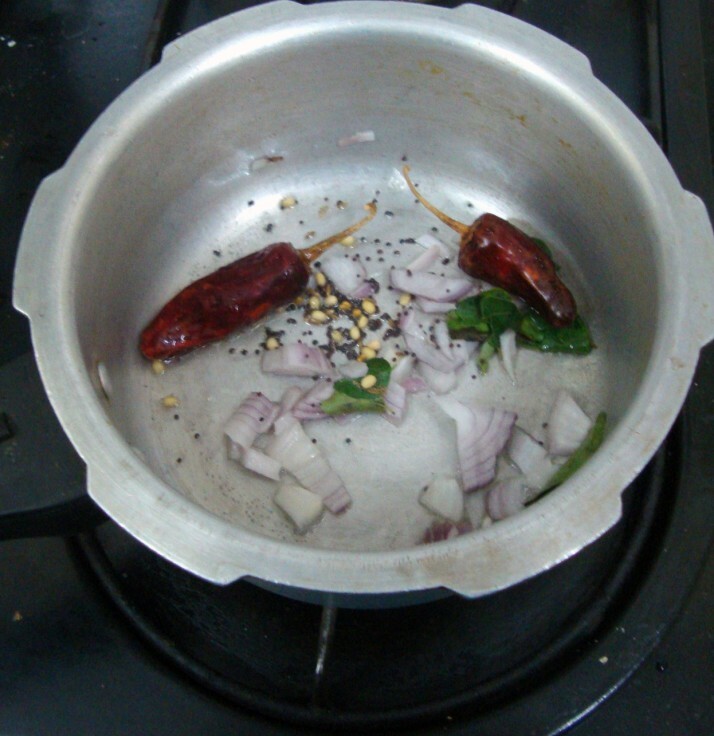 Split Yellow Moong dals cooks in 1 whistle in pressure cooker, takes about 10 minutes in microwave. However as I said pressure cooker is the best bet when it comes to cooking our dried lentils. I never soak any of my lentils, be it Toor dal or Moong dal. So this went directly into the cooker. 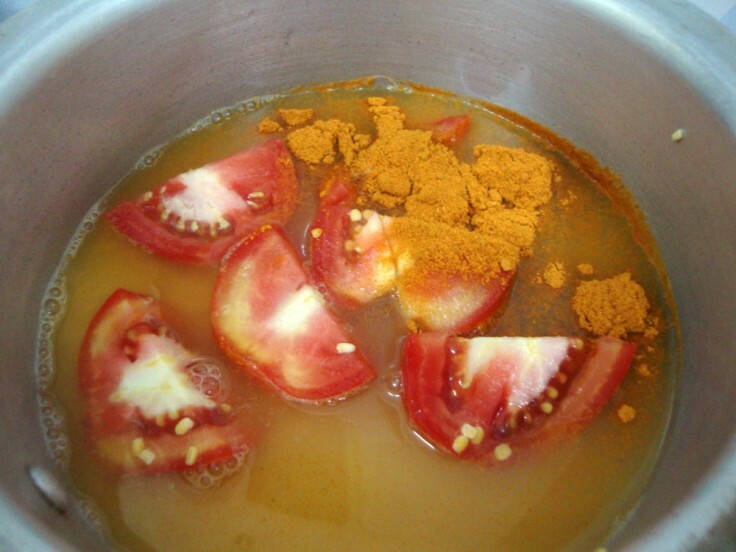 Wash and pressure cook the moong dal with chopped tomatoes and sambar powder for 1 whitle. Keep aside for the pressure to fall down. Then pour the cooked dal to the pan, take care to ensure it doesn’t spill over as you pour the hot dal into the pan, add salt and required water, if you want a think sambar. Bring it to boil, add coriander leaves. 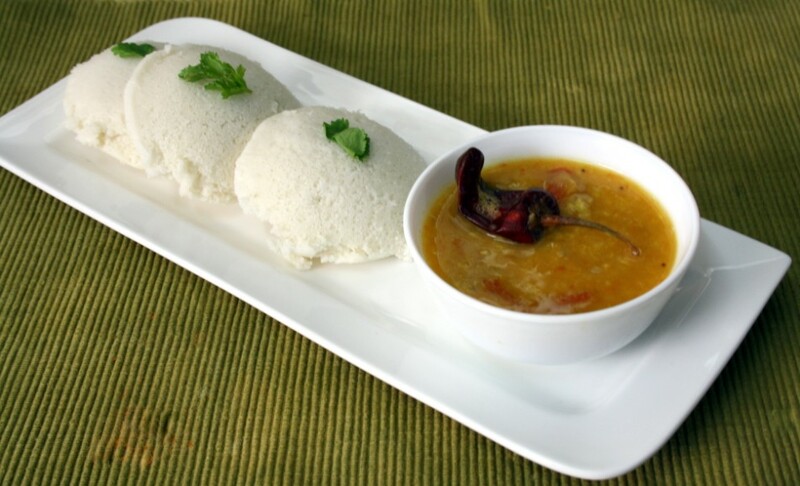 I like moong daal sambar a lot…its a great accompaniment with idlis. I am now hungry for this. 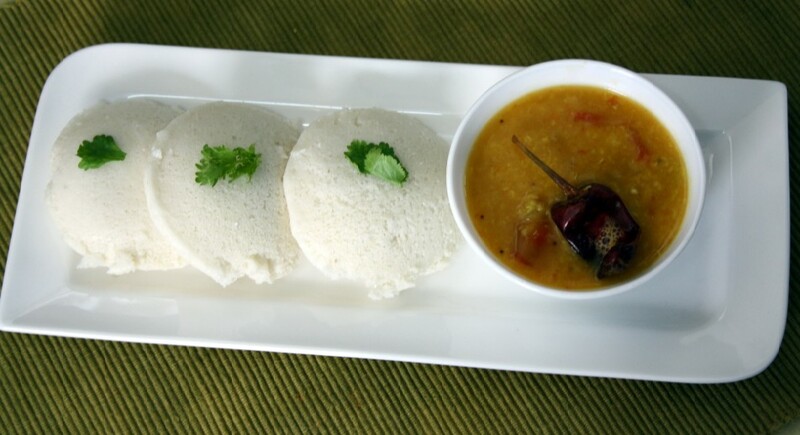 Healthy Sambar with appetizingly inviting Idlies.Luvly Combo. 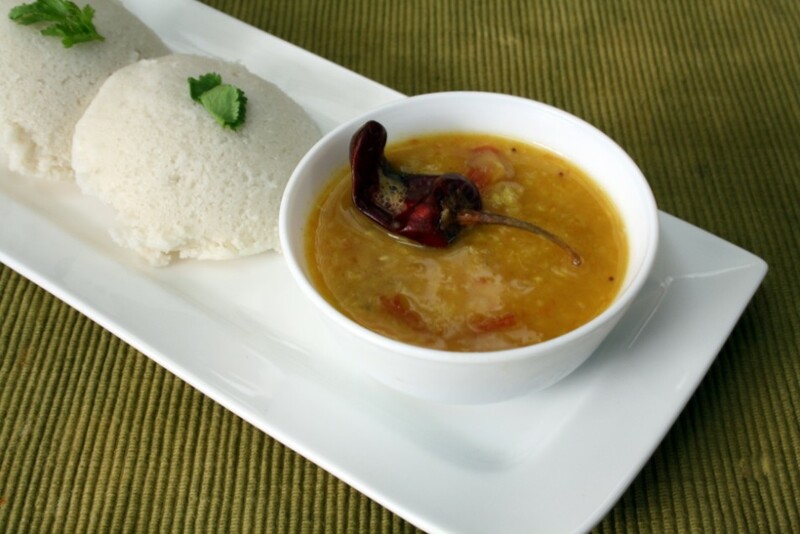 Sambhar with moong dal.. this is new to me.. we only make it with toor dal.. and no tamaraind is the best part… would save so much time and effort..
sambar my favourit. very easy to prepare.thanks. Hi, I just made this and I thought it was very tasty! I omitted onions because my little one is still sensitive to them, but she really enjoyed this sambar. Thanks for sharing!